These Royal Delicious Apples are growing in extremely high reaches of Himachal in Gwazang Village in the Lahaul Spiti Region - 10,100 ft over sea level. At this elevation, the land is almost like a cold desert. It takes the farmer a lot of effort to grow anything. The conditions are extreme and the resources are scarce. 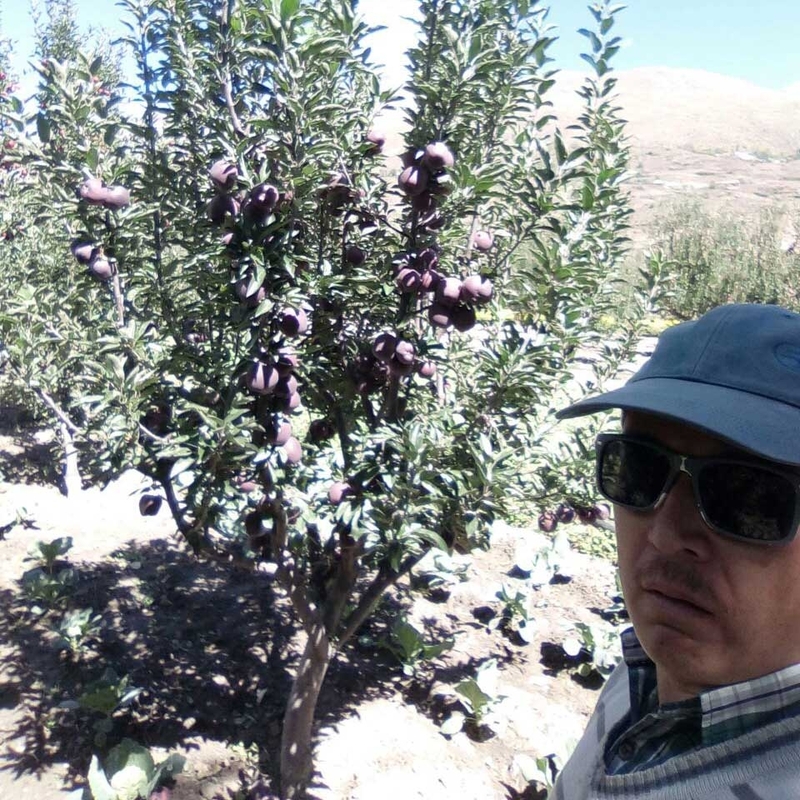 Being at such high elevation, there is no real pest infectation and the farmer is not required to do any kind of chemical sprays at all, making the Apples naturally organic. The farmers here have very small land holdings and depend on the Apple crow for sustainance. The Quality was average. some of the apple were red from inside meaning it is an old batch. Don't think it was fresh or either organic.